It's still got a 1971 Rolling Stones tape in the deck. No matter what comes out of Santa'Agata in the next decade, the original Lamborghini Miura S will always be (subjectively) the best looking supercar ever. Often viewed as the granddaddy of them all, it purely served form over function in a way that's still desirable more than 40 years later. 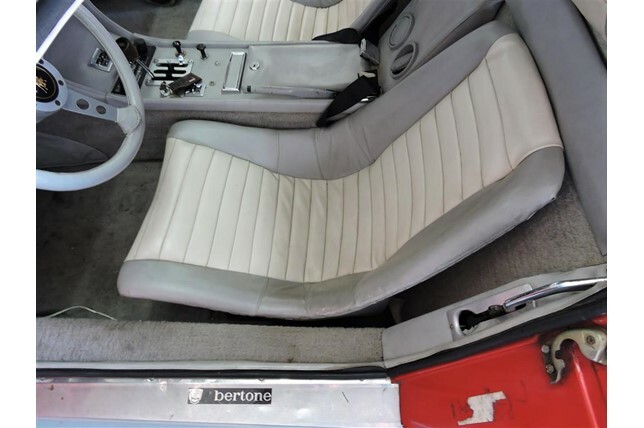 Lustful Bertone styling and a glorious soundtrack make it more of a mistress than a mode of transportation, and an all-original example of the Italian exotic has popped up on the market with an estimated going price of $1.5 million. 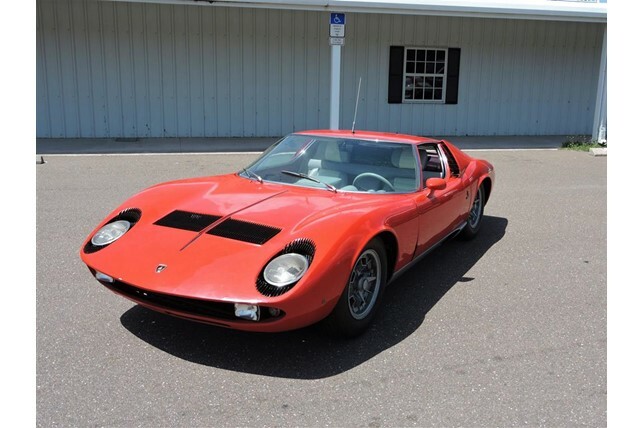 Born in 1969, this Miura S was just the second to pull off of the production line. It remains very much the same as the day it was assembled with everything in its original form. The seller claims that it has been literally sitting in a barn since 1971, and it reportedly still has a Rolling Stones tape in the Concord deck that must have been left by the owner when parked. 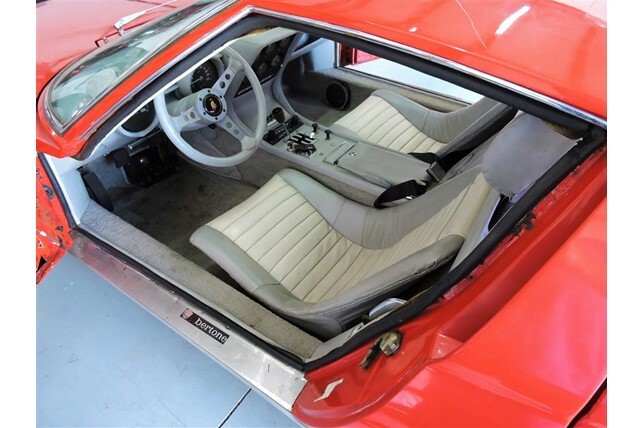 Dust and dirt cover the Miura's surface, but don't let that be confused with abuse. Much like that multi-million dollar Porsche 911 RSR that sold just a few months back, it's a sign of preservation that you can't get even from the most extensive restoration. 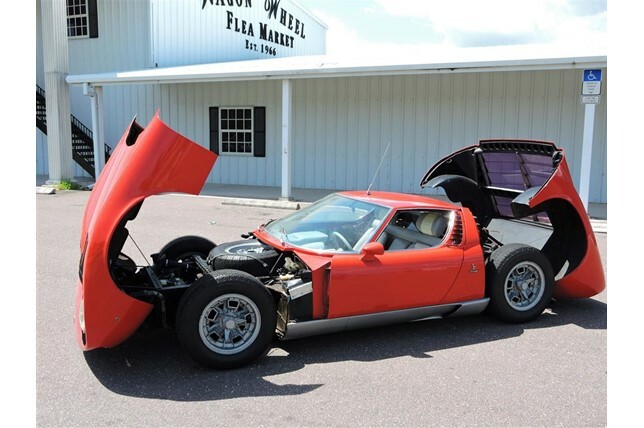 It wears the original set of Pirelli CN12 tires as well, showing that this may be the most period-correct Miura S examples on the market. 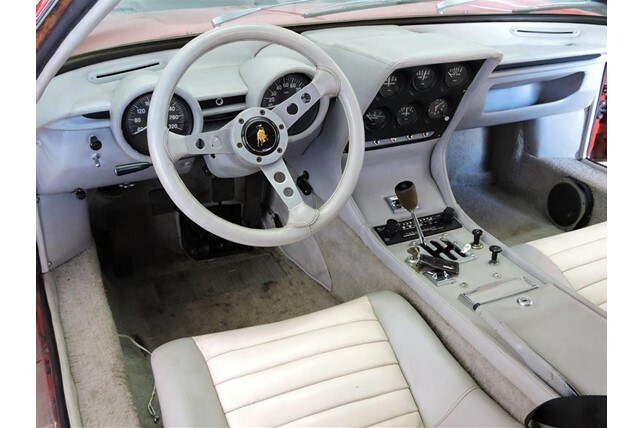 Even after 46 years of rest, the Lamborghini still starts and runs. That vouches for the car's turnkey readiness, and although it could use a bit of TLC, it's a complete package that won't require too much wrenching to get it into perfect mechanical condition. Collectively, this particular car is a stellar representation of what made Lamborghini stand out from its rival in Maranello back in the day. Unique handcrafted materials on the inside show a bit of Italian quirk that you can't find anywhere else, and the unmatched styling that makes the Miura S so recognizable is all the more beautiful in this unmolested example. Lamborghini all-wheel-drive shenanigans before Lambos went all-wheel-drive.